Slow Label is a Japanese ambient music label presided by Novum. 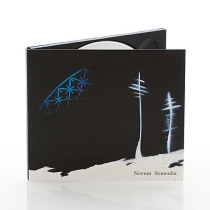 "Soneodia" is Novum’s 1st album. "Akuraiith" is Novum’s 2nd album. "seona" is an intuitive and interactive music application. Novum is a solo artist who lives in Tokyo.He started music composition committed to ambient music after graduated from a sound technology vocational college. and the infinite world of the other ends.Novum creates his own microcosmos by cutting out the Mobius strip of eternally pulsating life as music.He also developed a music application for Android, "seona." Copyright © 2006-2012 Slow Label. All Rights Reserved.